The Polynesian Resort is decorated like the South Sea islands of the Pacific Ocean. The A-framed central ceremonial house, which encloses the resort offices, shops, and most of its restaurant options, is filled with lush tropical vegetation, a waterfall, and a feeling that you're really in the Pacific region. Each building in the resort shares the same A-frame construction and the rooms are nicely decorated with the same south seas flair, without being obnoxious (you don't feel like Tarzan and Jane when you take your afternoon nap). Outside, there is a small themed "cove" pool, a lovely stretch of white sand beach, a marina, and "luau cove" where Disney's nightly luau extravaganza is held. At night the real magic of the Polynesian Resort comes to life as the many pedestrian walkways are lit by flaming torches and the soft sounds of island music waft through the air. The guest rooms are located in a series of buildings, called longhouses, with appropriate island names such as Hawaii, Tahiti, and Fuji. Room Rates: There are two regular room categories available. Garden View rooms face away from the Seven Seas Lagoon and Magic Kingdom. See the official Disney page for the Polynesian for current room rates. Internet: Wired in-room ethernet port. $9.95 for 24-hours. Wi-Fi access is available in certain public common areas. Laundry: There is a self service laundry room in the same common building as the Neverland Club. A laundry service is also available. Pools and Swimming: The main Nanea Pool features a volcano water slide. A second larger (but unthemed) pool is located near the main building. Gym and Exercise: The Polynesian Resort does not have its own exercise facility. Guests can use the Grand Floridian Resort gym free of charge. A resort jogging trail map is available from the concierge desk on request; one trip around is approximately 1.5 miles. Spa: No. The Grand Floridian Spa is within walking distance. Smoking: Only in designated areas. No smoking in guest rooms. MousePlanet partner Owner's Locker provides a highly useful service for repeat Walt Disney World visitors. It will allow you to to store a large amount of your "only-in-Florida" belongings on-site between your visits. Owner's Locker will deliver your locker to your resort early on the morning of your arrival and pick it up the day that you leave. Your locker will stay in climate-controlled storage until you return on your next visit. Owner's Locker delivers to resorts throughout the Orlando area, not just to Walt Disney World. Some of the many things that Owner's Lockers have been used to store are full-sized liquid containers to avoid the TSA hassle, clothing, holiday decorations for annual visits, pool playthings, and more. Visit their site and check them out for yourself, or order now! 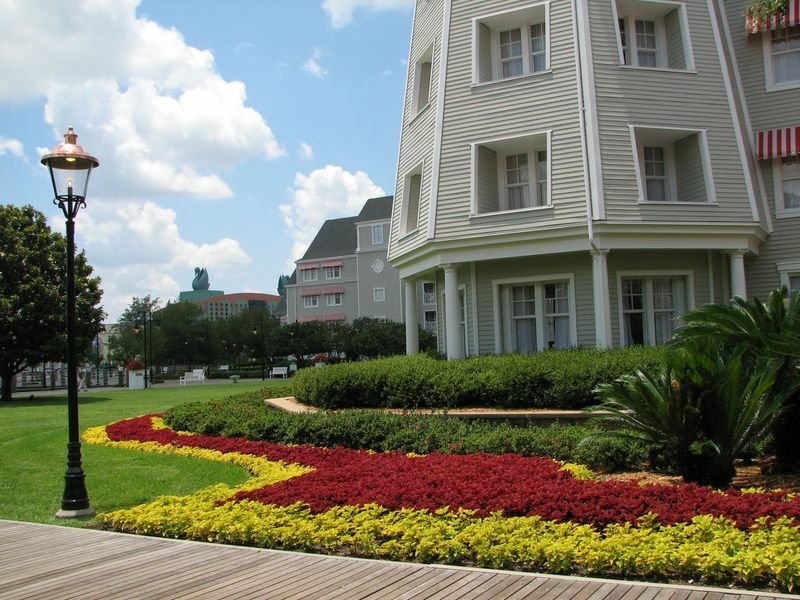 On foot: There is a walking path that connects the Polynesian Resort with the Grand Floridian Spa and the Grand Floridian Resort. The Ticket & Transportation Center can also be reached on foot. Walking to other destinations is not recommended. Bus: The bus stop at the front of the hotel provides direct access to Disney's Hollywood Studios, Animal Kingdom, Typhoon Lagoon, Blizzard Beach and Downtown Disney. Reaching other destinations by bus will require a transfer. Buses are shared with the Contemporary Resort and the Grand Floridian. Monorail: The Magic Kingdom monorail loop has a station on the second level at the front of the resort. Other stops on this loop are the Ticket & Transportation Center, Contemporary Resort, Magic Kingdom, and Grand Floridian Hotel. The east end of the resort is also adjacent to the Ticket & Transportation Center where you can board the Epcot monorail. 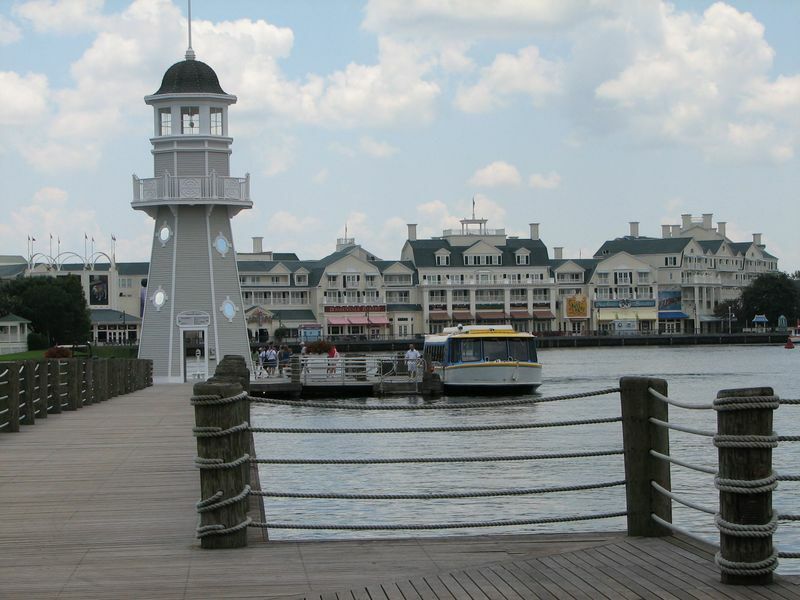 Ferries: The resort has its own boat launch with a ferry that connects it to the Magic Kingdom and Grand Floridian Hotel. The Magic Kingdom ferry from the Ticket & Transportation Center is also within walking distance. 'Ohana Lilo & Stitch character breakfast, or family-style, all-you-can-eat Polynesian dinner. Kona Cafe Home of the famous Tonga Toast (banana stuffed sourdough french toast) this diner serves all three meals. Spirit of Aloha Polynesian Luau A luau meal in an outdoor theater. Other dining — For adults seeking to slake their thirst, there is the Tambu Lounge next to 'Ohana or the Barefoot Pool Bar in the swimming area. The Pineapple Lanai is a walk-up window behind Captain Cook's that serves Dole Whip treats. Neverland Club — A childcare service is available to allow parents time alone. It is available for children 4-12 years old and they can stay for a maximum of four hours. The children will be entertained and fed dinner and a dessert if there at the right times. Other entertainment: The marina at Polynesian Resort offers a variety of watercraft for rental. The view from the lagoon provides visibility of the evening fireworks at Magic Kingdom. There is also a video arcade available. Maui Mickey's Disney clothing and gifts for children. News from Polynesia Resort related gifts and Polynesian specialty items. Polynesian Princess Casual and activewear for women. Robin Crusoe's Casual and activewear for men. Trader Jacks Disney souvenirs and gifts. Wyland Galleries An official gallery for the ocean paintings by artist Mark Wyland.